Every season the Senior School Certificate Examination (SSCE) is conducted by the West African Examinations Council (WAEC) or the National Examinations Council (NECO), it engages some personnel to help in getting the scripts marked and scored. You may have asked yourself ‘How do I get qualified to mark WAEC or NECO?’ Here is your answer. Both WAEC and NECO have their members of staff in various offices across Nigeria. But they don’t directly do the script marking. Actual teachers, educators and other personnel are involved. Adhoc personnel such as examiners, and checkers participate in the coordination and marking exercises along with WAEC or NECO officials. The process of becoming an examiner or checker starts with establishing that you are qualified to be selected. 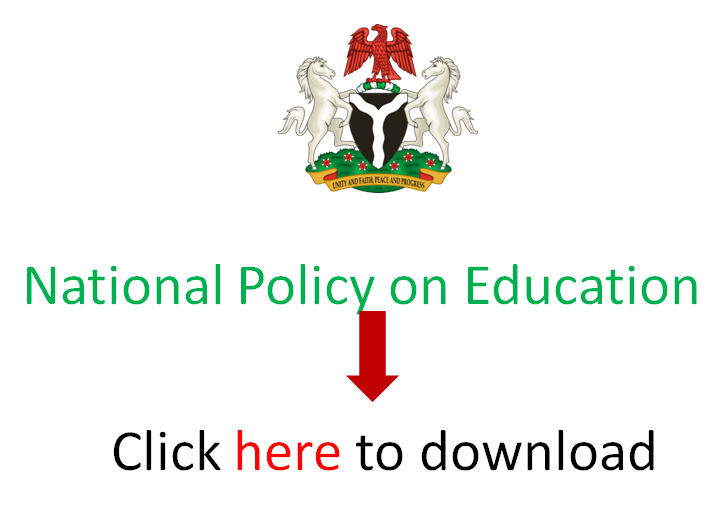 In this post, EduCeleb.com guides you on how to become an examiner or checker with WAEC and NECO. Please, note that your qualification to mark with WAEC does not count when you wish to mark scripts with NECO. Three forms of examiners exist. They are the Chief Examiners, the Team Leaders, and the Assistant Examiners. The basic requirement to be an examiner is having a degree in the subject you want to mark or something related to that. If, for instance, you want to mark English Language, you must have a bachelor’s degree in English or Linguistics. But those who studied Mass Communication or Linguistics with specialisation in another language other than English may not be allowed to mark scripts, even if they have dozens of years’ experience teaching the subject. You are also expected to have completed the National Youth Service Corps (NYSC) programme, and present your NYSC Discharge Certificate, according to the bodies. This requirement may not be implemented if you are currently a corps member. My first encounter with marking SSCE exam scripts was during my NYSC. It was coincidental that the Marking Centre was my Place of Primary Assignment (PPA). What the Centre Manager simply did was to establish that I was a corps member through my identity card and attestation from the officials of the school. A verification exercise would be done for all examiners by your subject officer. So, make sure you go to the marking venue with the original and photocopy of your certificates. The examination bodies also emphasise that examiners participate fully in the days of the coordination exercises. Ensure that you mark attendance while there and arrive early to learn a lot from this exercise. The coordination is integral to the marking as it serves as an orientation exercise for participants on the nature of the scripts they would mark and how they should mark such. You are also made to go through the marking guide and mark sample answers of candidates. It may be held for either two or three days. After the coordination, examiners would be issued parcels of examination scripts to mark and return. Each subject has a Chief Examiner who is assisted by Team Leaders that coordinate Assistant Examiners. The Chief Examiner is responsible for the conduct of all examiners and interfaces between the examination bodies and the examiners from time to time. He coordinates with the Centre Manager, who is usually the leader of the WAEC or NECO staff at the Marking Centre. Each subject has its Chief Examiner in each Centre. He/She has the sole responsibility of determining the order with which exam answers would be marked, based on the marking guide. This is usually someone who had about ten years experience marking the subject. They are determined and appointed by the examining bodies. The person appointed for this position also gets to vet the marked scripts of Team leaders. Team leaders are the next in line to the Chief Examiner. They may have almost equal level of qualifications to the Chief Examiner but have to report to him or her. Their job involves assisting the Chief Examiner. They vet the works of AEs just as they also mark examination scripts. Generally, the examination bodies also appoint Team Leaders. The Chief Examiners may use his discretion to appoint more Team Leaders among Assistant Examiners based on the need for it. Other examiners who are neither of the two above are designated Assistant Examiners (AE). Their experience vary from zero to the longest possible time marking for WAEC/NECO. You need to start as an AE before progressing to other levels in the examiner cadre. If it’s your first attempt marking for WAEC/NECO, it is advisable to apply either by visiting their office in your state or applying online. Only WAEC has the online examiners registration service, which is also used for validation of current examiners. Current NECO examiners or invigilators can validate their status here. The list of WAEC offices, and NECO offices have been previously published on the EduCeleb website too. Click on the links to view the address of the one near you. If they find your application successful, you would be invited to mark via text message and/or email. Alternatively, you may try your luck as a ‘gatecrasher’. After marking for WAEC or NECO in a year, you should start receiving invitations to subsequent marking exercises. It is possible to get your first shot as an examiner by gatecrashing, as already said. This means that you participated in the coordination without prior invitation. In this sense, your chances of being given scripts to mark are low compared to those originally invited for the exercise. But once you get approved as an AE, you have a high chance of getting invited the subsequent years. Checkers are those who crosscheck the works of all examiners, as that sounds. Their work starts from when the parcels of scripts are delivered to the marking centres. They confirm the number of scripts stated on each label and whether the attendance and result sheets were attached. After examiners finish marking and computing scores in the provided sheets, checkers would verify that these were done rightly. If there are discrepancies, the examiners would be directed to correct such before being cleared. You don’t require a degree to be a checker. You should be sound in arithmetic, at least. Be also ready to spare enough of your time each day throughout the duration of the marking exercise. Money is paid based on the number of hours spent for checkers. A student in the tertiary institution would be allowed to be a checker once he/she passes the free qualifying test conducted by WAEC. Other people who don’t want to go through the ‘stress’ examiners talk of may also try this out. After these persons complete their works, WAEC continues the process of getting candidates’ results ready based on its schedule. Have you ever tried joining the marking exercise in your capacity as either an examiner or a checker? Kindly share your experience with us using the comment box below. Please, direct your application to WAEC Head National Office, Lagos. Thanks for the post. Can I go for the coordination exercise even if I have not marked before? I need to join in waec supervision, but I don’t know how up go about it. They put priority on teachers to do so. It seems there are plans to even stop teachers from being supervisors since some aid exam malpractices. Please when is the coordination exercise? I studied Library Science Education,will i be allowed to mark? Thank you. please ,what are the subjects that a food technologist can mark in WAEC coordination? what of neco centers and how many days will the coordination exercise take? My name is Joseph Babatope, 47 years old,a physics teacher, graduated in physics end. Like to be examinal . I believe that you’ve read what’s written above sir. Follow that. I’m a graduate of Bachelor of Agricultural Science in Soil Science and Land Resources Management. What subject can I go for and when is NECO coordination beginning? I’m not sure of the subject you could mark. In most cases, only graduates in Agricultural Science are allowed to mark that subject. NECO coordination is in progress. Read the guidelines above to do so. Click here to see the NECO marking centres across Nigeria. Marking Technical drawing has been so restricted to certain examiner, why? I want to join these examiner. I studied Architecture and i have been teaching TD for 10years now. Go to the centre when it’s time for marking. Better still, follow the guide above. Please good evening,am from akwa ibom how can I join the marking tomorrow,this is my first time,how can I get started as government and civic education teacher ? Check out the centres in Uyo and Eket. They’re part of your state. Check out the one nearest to you. I studied Health Education. Am i eligible to mark and Which subject can i be fix to? Check your eligibility as stated above using the WAEC platform for that. We do have a Telegram group at the moment. It is accessible via https://t.me/educeleb. Join that today. I am a Chartered Accountant (ACA) holder. How can I be part of waec and neco examiners and accessor? Your ACA doesn’t come into place here. Read the above information and follow it. this is as a result of transfer from enugu to benun city? Contact the WAEC Office in Benin. Click here to locate the address if you don’t know where it is. You can check your results a month after WASSCE.